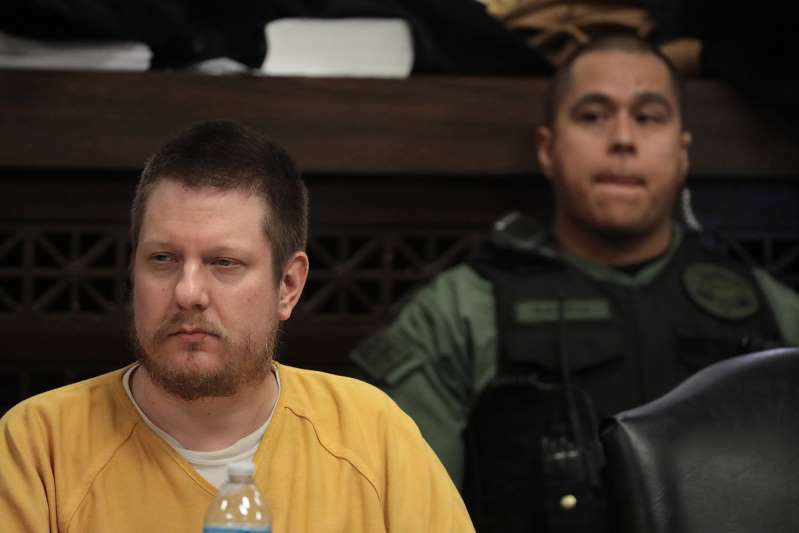 © Antonio Perez/Chicago Tribune/TNS Former Chicago police officer Jason Van Dyke, left, at his sentencing hearing at the Leighton Criminal Court Building in Chicago on Friday, Jan. 18, 2019. The Illinois Supreme Court will not order a new sentencing for Jason Van Dyke, rejecting an unusual bid from prosecutors that could have meant a much harsher sentence for the former Chicago police officer. The court’s rejection Tuesday means Attorney General Kwame Raoul and Special Prosecutor Joseph McMahon likely have exhausted their only legal avenue to toughen Van Dyke’s sentence. A Cook County jury convicted Van Dyke, 40, in October of one count of second-degree murder and 16 counts of aggravated battery in the 2014 on-duty shooting of 17-year-old Laquan McDonald. Van Dyke was sentenced in January to six years and nine months in prison. A petition filed last month by the special prosecutors and the Illinois attorney general’s office argued that trial Judge Vincent Gaughan improperly sentenced Van Dyke on only his second-degree murder conviction. Illinois law actually makes aggravated battery with a firearm the more serious offense, carrying a maximum prison sentence of 30 years, compared to 20 years for second-degree murder, the petition noted. The state’s highest court gave no explanation for its decision, but four justices ruled against the prosecutor’s petition, while two justices dissented in full or part and a third took no part.